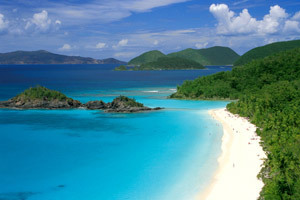 As you will soon experience for yourself, St. John is among the most beautiful islands anywhere, rich with natural wonders and a rich and colorful culture and history. 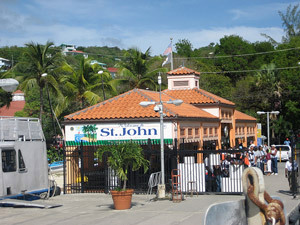 St. John was first inhabited by the peaceful Arawak Indians, until the discovery of the Virgin Islands by Christopher Columbus. Soon, many countries would be fighting for the islands, which eventually settled into Dutch rule in the 1700's. 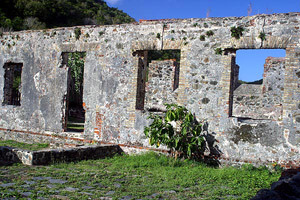 The island was soon clear cut and replanted with sugar cane, tended by slaves on large plantations. After slavery was abolished and the sugar beet discovered, agriculture quickly declined and St. John fell back into a sleepy hamlet. By the early 1900's the territory caught the attention of the United States, who thought it was a strategic position in the defense of the US during World War I. In 1917, St. John, along with the rest of the Virgins, became a US territory. Her people however, did not gain citizenship until 10 years later, in 1927. Then in 1952, fate intervened. While cruising in the Caribbean with his wife, Laurance Rockefeller arrived at idyllic Caneel Bay, a paradise of aqua blue fringed with fragrant and colorful tropical blooms. He was immediately enamored and over the next four years he assembled an area of 50,000 acres that he turned over to the National Park Service as Virgin Islands National Park. That legacy lives on today, with almost ¾ of St. John preserved and protected. With only 2 large scale hotels, St. John has changed, but has still managed to hold on to the magical qualities Mr. Rockefeller fell in love with. Spend your week beach hopping, boating or kayaking our gin clear waters. Hike through rich forests to discover for yourself the ancient writings of our islands' Arawak ancestors. Feed the donkeys, stop for goats, enjoy a refreshment from your private balcony as the sun dips below the distant horizon. Discover the magic for yourself!